Your credit score tells lenders how likely you are to pay back the money you borrow. A high score sends all the right signals, while a low credit score, sometimes referred to as “bad credit,” can keep you from getting approved. The credit score needed for a mortgage depends on the type of loan. Government-backed loan programs — FHA, VA and USDA — generally have lower credit-score requirements than conventional mortgages. But it’s the lender that ultimately decides what the minimum credit score will be for each loan product. If your credit score is at or near lenders’ minimum, they could demand a bigger down payment, charge a higher interest rate or require you to pay more fees. In short, you could end up paying more for your home loan. The best way to avoid these penalties is to elevate your credit score before you apply. If you have less-than-ideal credit, you’ll need a lender that’s equipped to handle it. 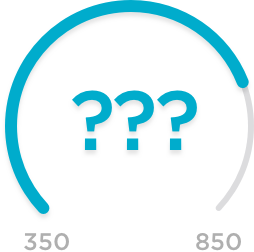 NerdWallet has picked some of the best mortgage lenders for borrowers with low credit scores so you can quickly decide which one is right for you. Ideal for borrowers seeking a government-backed loan. About 95% of the mortgages Vylla makes are FHA, VA or USDA. About 45% of Vylla borrowers have FICO scores under 650. Ideal for borrowers who don't have a strong credit history. New American Funding will use manual underwriting to evaluate borrowers, allowing flexibility for borrowers with low credit scores. Ideal for borrowers who prefer an online experience. Rocket Mortgage offers lower credit score mortgage programs from FHA, VA and USDA. Ideal for those seeking a fast and automated way to get a loan. JG Wentworth offers FHA, VA and USDA home loans, as well as Fannie Mae HomePath and Freddie Mac Home Possible mortgages for moderate-income home buyers. Ideal for borrowers who want a no-hassle process. 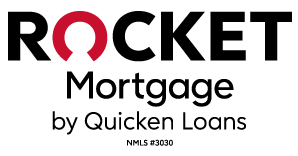 Quicken Loans gives you a prelimary loan decision in just minutes. If you aren't initially approved, mortgage loan experts can let you know what you need to do to qualify. Ideal for mortgage borrowers who need strong customer support. NetWork Capital has no lender fees, comprehensive customer support and a broad loan selection, including FHA, VA and USDA. Ideal for borrowers who wanted to be treated like an MVP. HomeBridge offers government-backed loans to borrowers with a minimum 550 credit score. Ideal for borrowers looking for lower credit score requirements, and who don’t mind remote customer service. Ideal for borrowers who prefer a traditional lender. In addition to low down payment options, CitiMortgage's OWN program has flexible credit guidelines for borrowers who may have low credit scores. Ideal for military veterans and their families. Navy Federal Credit Union underwriting goes well beyond FICO scores, looking at rent, utility and credit card payments, as well as military service.